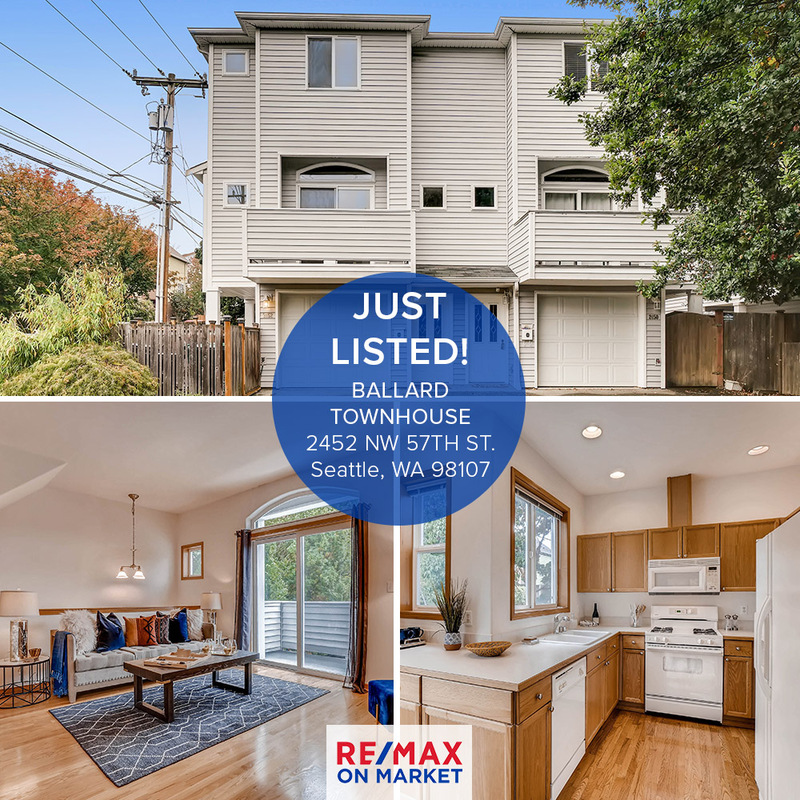 Bright & airy townhouse on corner lot in prime Ballard location. Well maintained home with high ceilings, gleaming hardwood floors, balcony & gas fireplace. Two bedrooms upstairs, including master with large walk-in closet. Ground level bedroom has full bath & separate entrance to fully fenced sunny yard & patio. Radiant heat & one car garage plus private driveway parking. Located on pleasant tree-lined street. Walk score of 93! Nearby Ballard Locks, Burke Gilman Trail & downtown Ballard. Average days on market jumped to 23 days for Seattle, increasing the months of inventory to 2.4. We haven’t seen that high of a month’s supply since Sep 2013. Have questions about buying or selling, or specific questions on trends in your neighborhood? Shoot us an email at hello@remaxonmarket.com. We’re happy to answer all your questions! Just Listed: 2 Bed Queen Anne Condo with Pool! Peaceful West Queen Anne condo just minutes from downtown. Completely updated in 2016 with a open concept and sunken living room. Designer kitchen, quartz counters, stainless steel appliances, hardwood floors in the dining & kitchen. Just off the patio, enjoy the outdoor pool during the warm summer months and cozy up to the wood burning fireplace in the winter. Washer & dryer in-unit. New custom blinds. Secure parking & entry w/ elevator to condo. 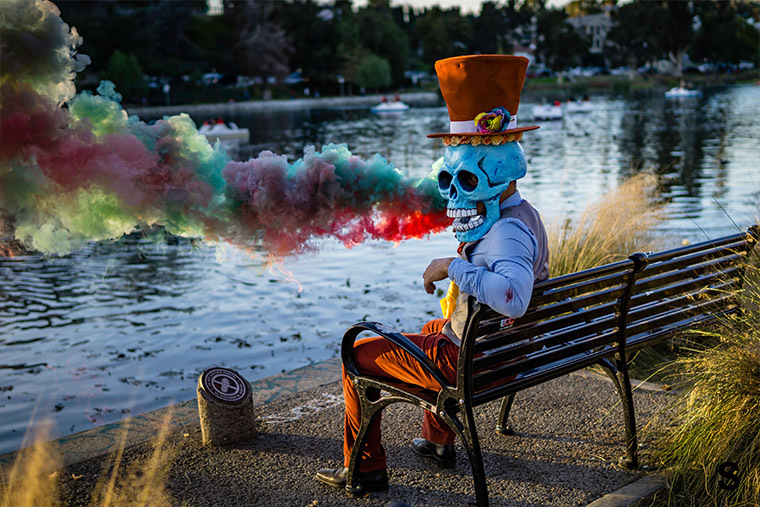 Strong HOA and on-site manager. Move in ready! Ultimate space and privacy on huge almost 1/3 acre usable lot. Easy commute to all points and stone’s throw to neighborhood amenities. Lovingly maintained four bed home with big private deck over massive back yard with incredible possibilities. Home is open, sunny and bright. Features include hardwood floors, second kitchen, washer/dryers on both levels, fireplaces on both levels & large rec room downstairs. 2012 roof, fresh exterior paint, ample parking, patio, fire pit. 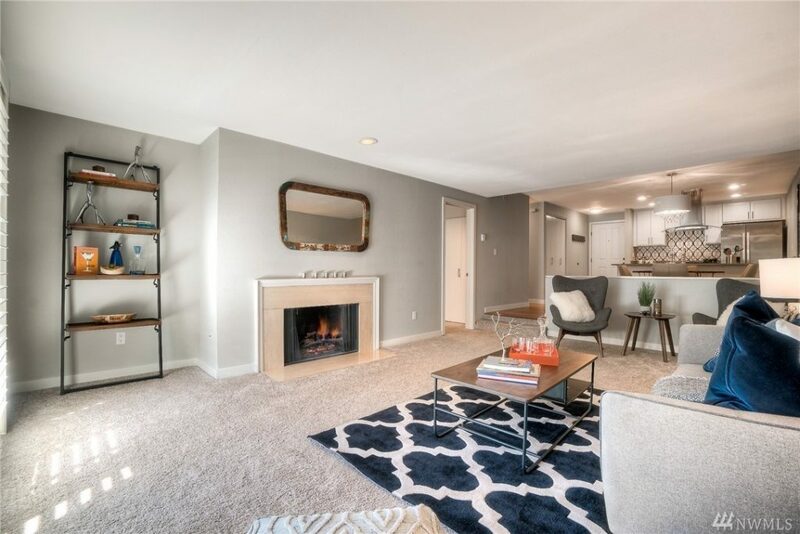 Spacious, light filled townhouse on quiet street with entry on main floor, gorgeous remodeled kitchen & great flow throughout. Eco-features include induction range with double oven, radiant heat, air conditioning on all floors. Relax in the deep Japanese soaking tub or on the private deck off the huge master bedroom. 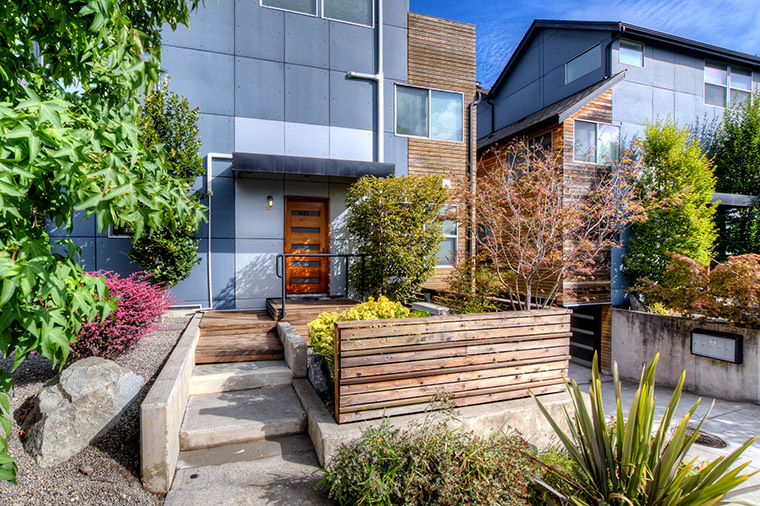 Excellent location, minutes to SLU, Fremont, Ballard or downtown. Ample closet storage, high efficiency washer/dryer & large garage. No HOA fees. 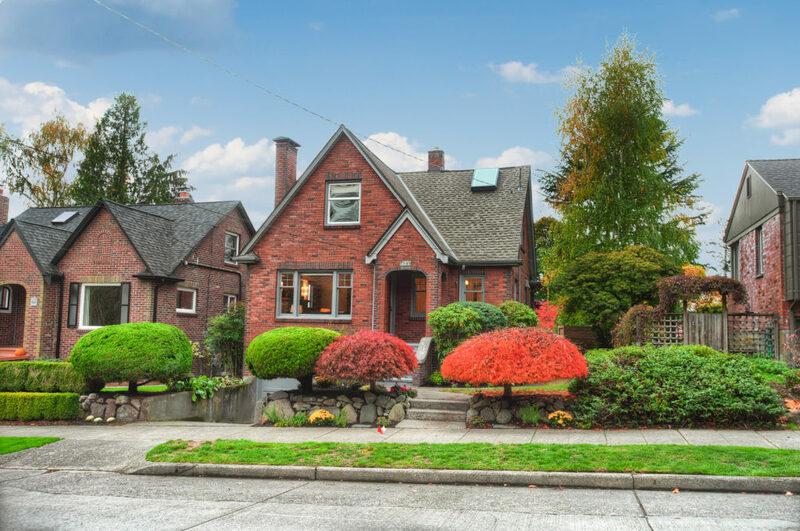 The Seattle and Ballard Market Update is a monthly update using information from NWMLS’ InfoSparks using data for sold residential and condominium homes in Seattle and the Ballard/Greenlake area. What’s going on in the Seattle Real Estate Market? You may have been hearing that Seattle’s real estate market has cooled off considerably, or that it’s now a “buyer’s market.” That’s not necessarily true. While inventory is up, it’s still not up enough to meet current demands. 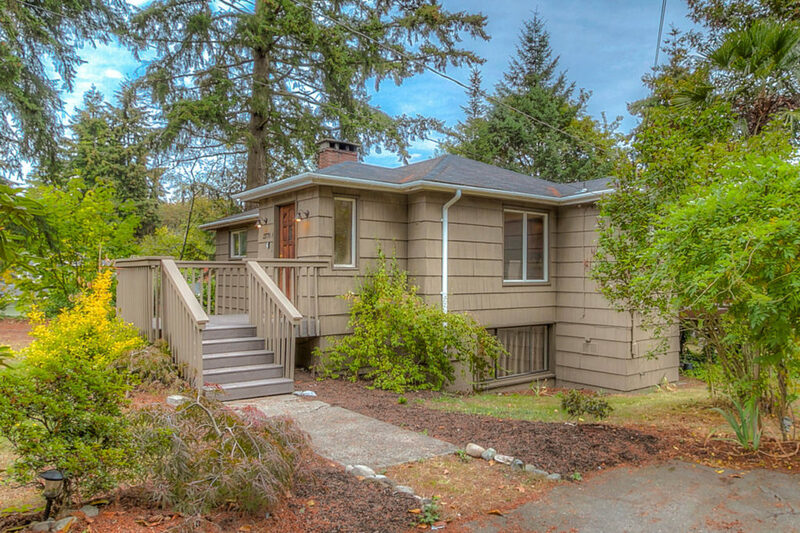 Houses are also on the market longer, but in Seattle, that average is still only 15 days. We still have less than 2 months of inventory across all of Seattle, and many experts consider a balanced market to be 4-6 months of inventory. A much greater shift would have to happen for it to swing in favor of buyers. Still, that doesn’t mean that new opportunities for buyers haven’t come around. Generally, you’re going to see less of the crazy price appreciation and multiple offer situations that we saw in 2017, giving buyers more time to make decisions between homes, and allowing ample time for inspections and other due diligence tasks. Looking to buy or sell a home in Seattle? We’re always here to help! Contact us at 206-965-8205 or drop us a note at hello@remaxonmarket.com and let us know what you’re looking for. Our expert real estate agents are highly trained and experienced in Seattle area real estate. Seattle real estate is still red-hot and many investors have flocked to our city. If you’re one of them, and you’re thinking about using your property as a short-term rental on sites like AirBNB or HomeAway, do your due diligence first. 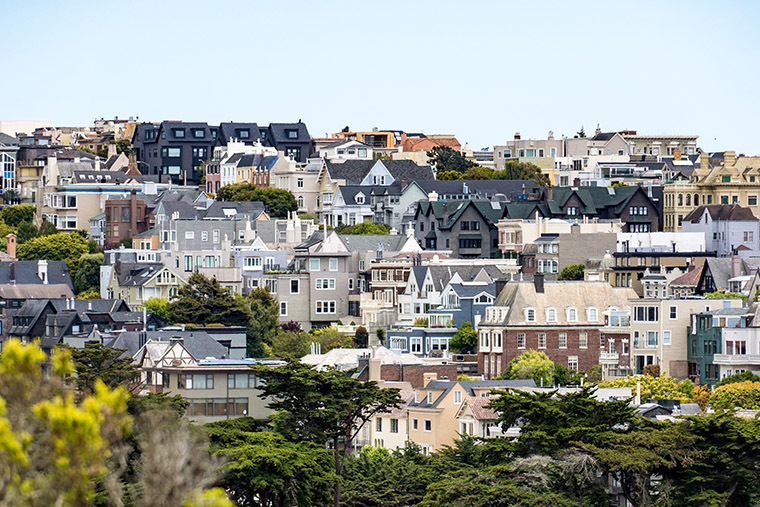 It’s important to familiarize yourself with the local and on-site laws affecting rental terms, zoning and city regulations. In a recent U.S. News article, RE/MAX On Market broker/owner John Manning was quoted. As an early adopter of short-term rentals, Manning welcomes the increased oversight of the short-term rental market. It’s also worth noting that there are legal and liability costs associated with owning and operating any kind of rental. If you have questions about short-term rentals or investing in property in Seattle or the surrounding area, we’re always happy to help. Contact us at 206-965-8205 or email a quick note to john@remaxonmarket.com. Disclaimer: RE/MAX On Market is a licensed real estate agency, not an investment firm. We urge you to educate yourself on when to seek legal counsel in a real estate transaction.